Americans are not as polarized as many believe. In fact, the American public of today does not look much different than it did in the 1970s, long before talk of polarization dominated the political narrative. 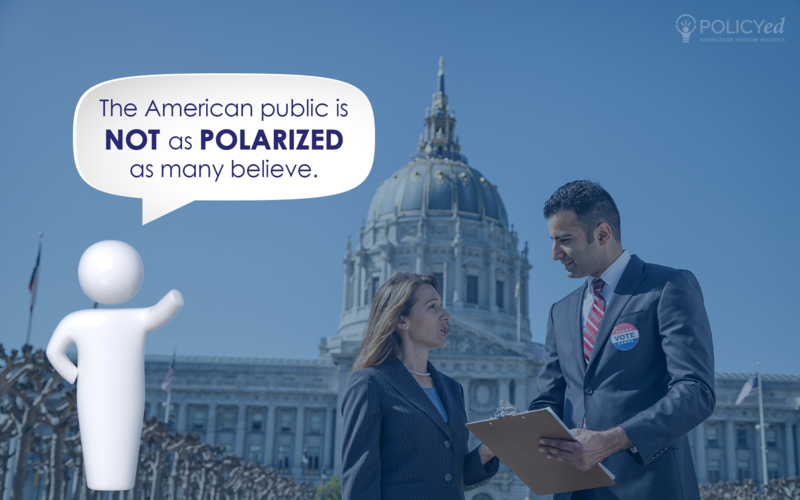 Why then do citizens think we have become more polarized? Because the political class has! 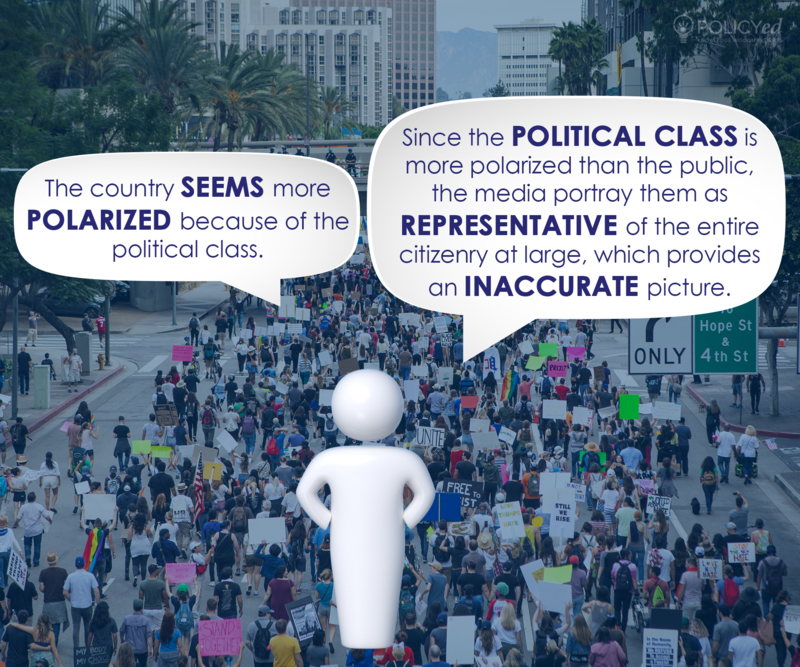 The political class consists of office-seekers, donors, activists, and partisan media commentators. Such people aren’t representative and only comprise 15% or so of the country. When we look just at them, we do see polarization. 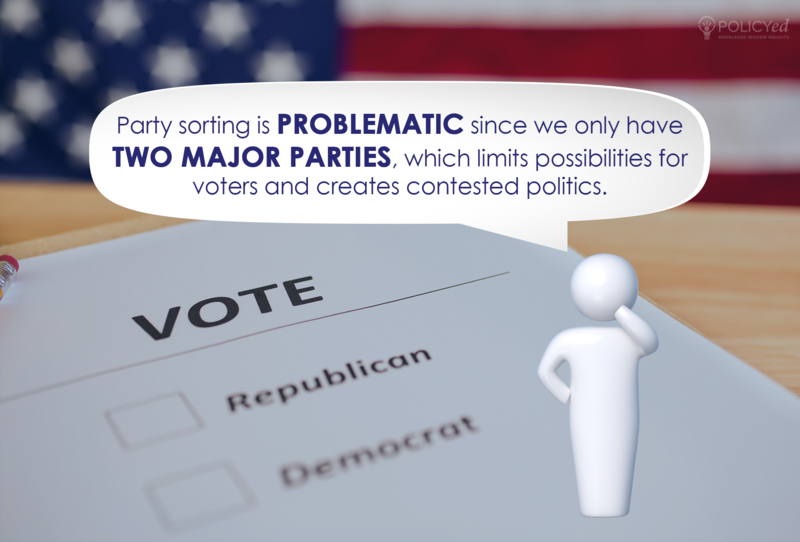 Rather than polarization it’s better to think of what has happened in the U.S. as sorting, which occurs when parties become more homogenous. At one time our parties were heterogeneous. There were conservative Democrats and liberal Republicans. 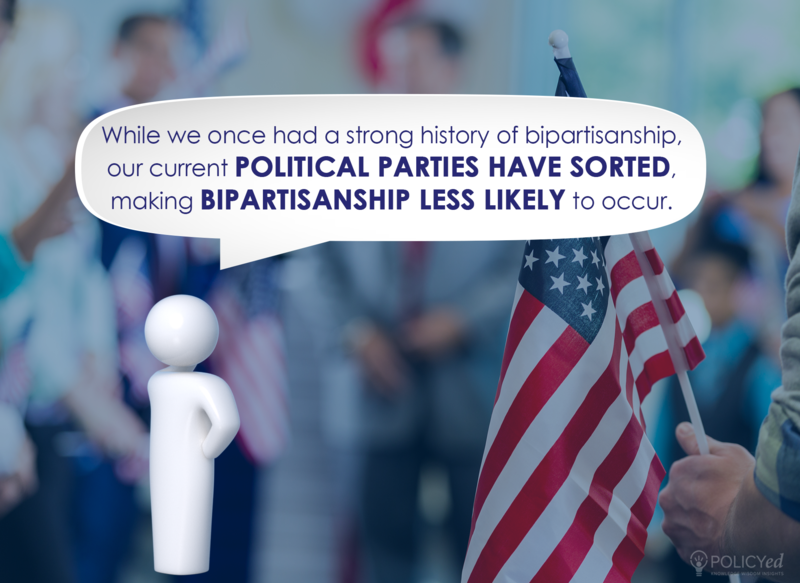 We had bipartisanship in congress because some of the conservative Democrats agreed more with the Republicans than with liberal Democrats, and some liberal Republicans agreed more with liberal Democrats than with conservative Republicans. However, that is no longer the case. 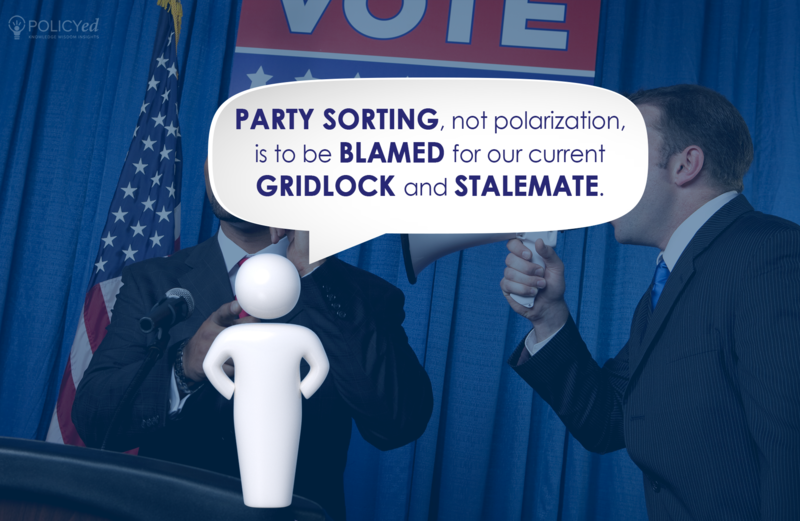 Our two-party system has led to our current gridlock and stalemate. Since the control of institutions is up for grabs in each election, political incentives dominate and parties are less motivated to solve a problem if keeping the issue alive is electorally advantageous.